Nuevo II just arrived at Au Couer du Lac campsite at Sevrier on Lake Annecy-not spoken to them yet as tipping it down after gorgeous weather. Wasn't the stolen one was it? No idea-which stolen one was that? It was a UK 10 plate with a bike rack on the back. Last night (13/04/2016) Dad's motorhome (Reg. 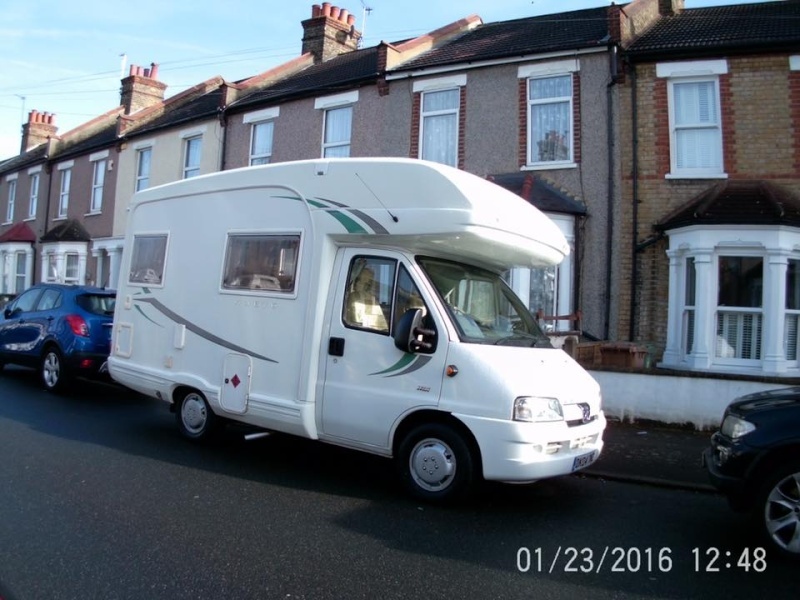 DK 04 TWC) was stolen from outside our house in Welling, Kent. It has been officially reported but we're hoping that someone may recognise it from this photograph and help us to track it down. Please Share and get in contact if you've spotted anything! moggyminor1966 wrote: Nuevo II just arrived at Au Couer du Lac campsite at Sevrier on Lake Annecy-not spoken to them yet as tipping it down after gorgeous weather. We were on Les Rives du Lac for a week last June, next site south and on the lakeside with its own beach and pier. Fabulous place and so warm water when swimming in the lake. Hi Pete yes we walked past that site looks good. Was hardly anyone on it. Now at Vesanaz campsite near Geneva excellent site on lakeside. rose49f wrote: Wasn't the stolen one was it? Not the one in the pic was the Nuevo II model.